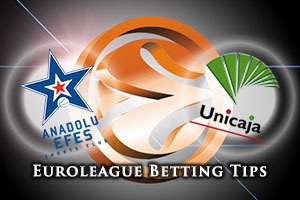 By the time this game tips off, Efes will have a much clearer picture of what they need to do. If Panathinaikos manage to defeat Darussafaka on Thursday night, Anadolu need to win on Friday to remain in the competition. This could make it a very edgy and nervous evening in Istanbul. You would think that needing a win to progress in the tournament would be all the motivation a team needs but Efes have blown hot and cold at times this season. This means that you can never be too sure about who is going to turn up. The Istanbul side can take great comfort from the fact that they won in Malaga earlier in the season, by a 75-85 margin. That was a brilliant night for Jayson Granger. Granger used to play for Malaga but he delivered a total of 22 points in the win, and this helped his team to grab a huge win, although he will need to be at his best again this evening to shove his team forward in the campaign. Malaga are already out of the playoff running and they have endured an abysmal run of form of late. They have managed to lose seven of their last 8 games and they will only be playing for pride in this one. Mind you, a few other teams could be waiting for an Efes loss to seal their place in the playoffs, so Malaga may find themselves with a few new fans moving into this game. If the Spanish side is to have any impact on the group, they will need Mindaugas Kuzminskas to deliver the sort of form that he has provided on a few occasions this season. The hosts are clear favourites and it is easy to see why. 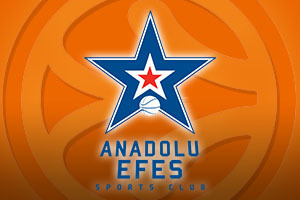 Taking Anadolu Efes Istanbul at -8, at odds of 1.90, is likely to be a smart bet when it comes to Friday night basketball betting action. If you are looking to take on the Over/Under market, look to go OVER 158.5, which you can find at odds of 1.90. Bet Now!